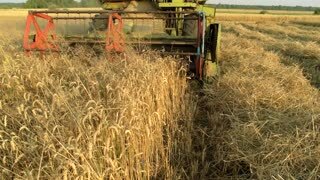 An agricultural combine cutting and harvesting wheat. 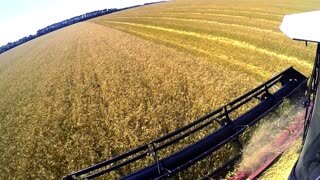 Combine harvester close-up at work. 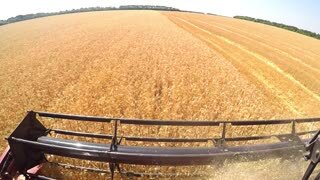 Combine harvester, top view. 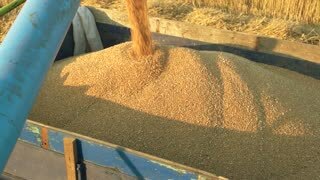 Wheat harvesting, close up. 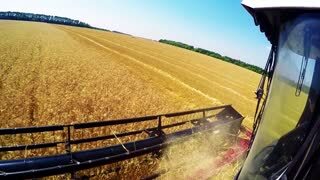 Combine harvester harvesting wheat. 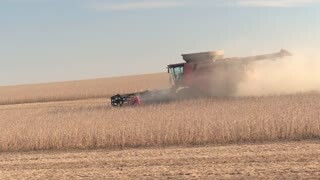 Close-up View Of Combine.